Q&A with Diversity Fellow Joey Chandler, preps sports writer at The Tuscaloosa News. Chandler is a Marengo, Ohio native and a proud graduate of Ashland University. When did you get the bug for this industry? My dad always said I wrote my first sports story in the second grade when my big brother’s high school basketball team played in the state Final Four. It was such a magical experience for a young kid from a small town, so I guess even at a young age I already had the bug. I just didn’t know it yet. We had a hoop in my backyard, and when I wasn’t out there playing, I was sprawled out on the blacktop underneath it writing stories. I was sports editor of The Collegian, Ashland University’s college newspaper, my senior year. I kind of had that moment where I realized that I could combine those two things and make a living. I actually have 9 varsity letters from high school. Four years in track, four in cross country and one in basketball. Switching over to your career, what made you decide to apply to the Diversity Fellowship Program? I had seen it a couple of years ago and wanted to apply, but there were situations where the paper I was at had just gone through layoffs. They really couldn’t afford to let me pursue it. But it kind of piqued my interest to seeing what it was all about, and I thought it would be a great opportunity to decide if I wanted to take that step in management. It also seemed like a great networking opportunity where you get to meet all these different people. I’m a member of AWSM, and I’ve gone to a couple of their conventions and one was the joint convention in 2012 with APSE in Chicago. I met a lot of nice people there with APSE, and I just thought it would be a really neat opportunity. What stops did you make before you landed in Tuscaloosa with Tommy Deas? My first job right out of school was with the Mount Vernon News, and I did preps and anything else that needed to be covered. Next was the Chillicothe Gazette, and after that was the Bucyrus Telegraph-Forum. 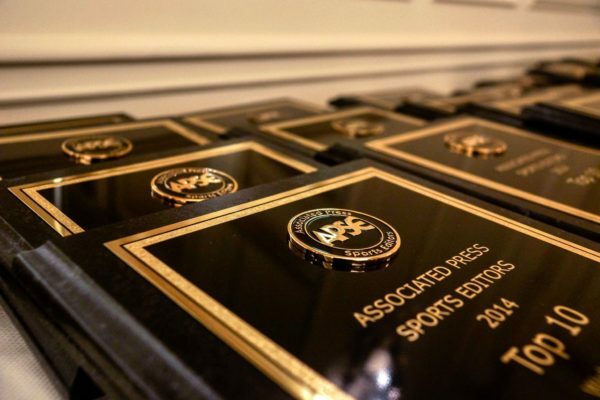 They were all basically papers where you’re a prep writer because those are the main sports in that area. Then from there it was here at the Tuscaloosa News as a preps writer. Working for Tommy has been great, and I am so thankful for that opportunity. He also encouraged me to go after the APSE fellowship after I expressed an interest in it, and was among those I met in 2012 that left a lasting impression on me, so much so that when I saw an opening with his shop I knew I had to apply. I’ve always wanted to be able to focus on sports enterprise and sports features. I think that would be a dream job for me. I’d love to be able to write the sort of stories someday that John Branch writes for the New York Times. When I read his work I always think to myself: these are the sort of stories I want to tell. This is what I want do. They are already the sort of stories I keep an eye out for now, and when I am lucky enough to find them, they are the stories I enjoy writing the most. As an Ohio native working in Alabama, which is the better rivalry: Michigan/Ohio State or Auburn/Alabama? Oh man. You know what, I’m going to rattle the cage and go with OSU and Michigan.